The National Trust, in the UK, is an organisation dedicated to preserving the cultural heritage of a particular geographic region. It does marvellous work. Preserving old houses, woodland, forest, beach… I’m a proud member of the NT. 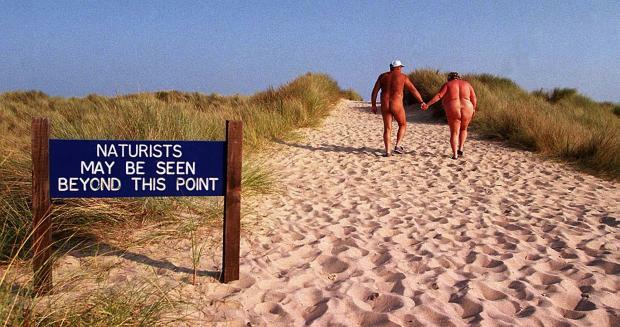 It also owns Studland, a beach in Dorset, England, which has long been a naturist beach. Usually, you might expect an ‘establishment’ type of organisation to have an issue with naturism. Not so. 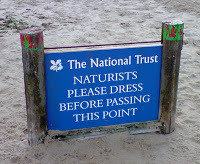 Naturism lives very comfortably with the National Trust. Just a few ‘warning’ or, more accurately, ‘advisory’ signs exist. 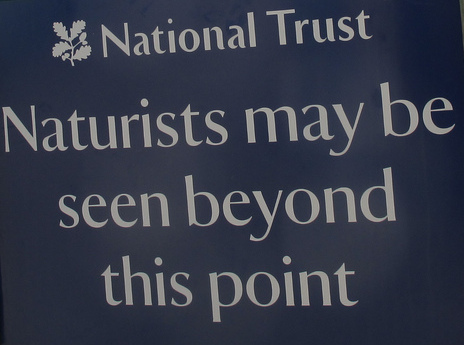 It’s an example of how official bodies could react to naturism, and it’s a pleasure to see the NT take such an enlightened approach to an alternative lifestyle. 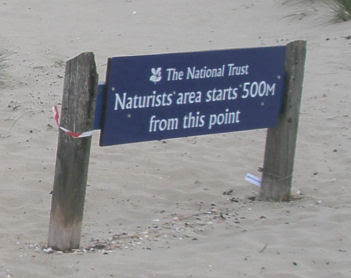 It’s also a pleasure to see naturism take such a responsible action towards the facilities granted them. 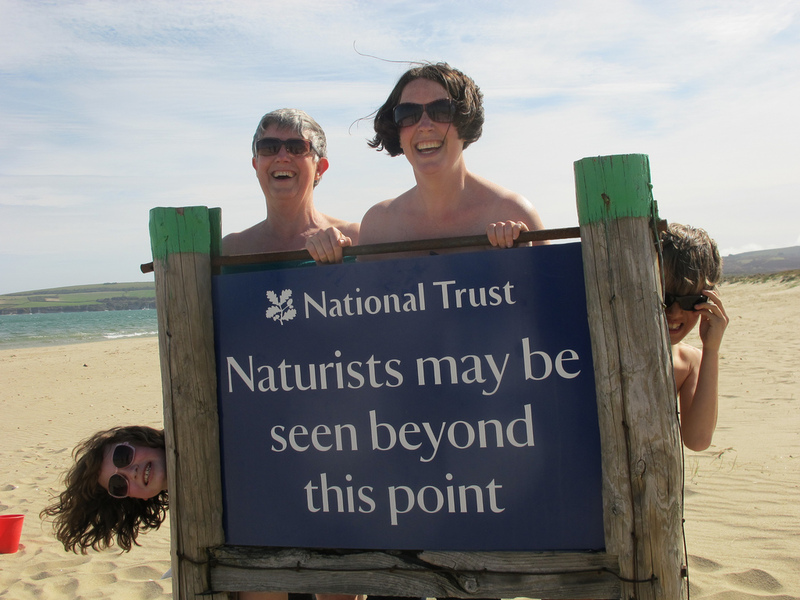 ‘Beach clean up days’ are organised by naturists, to ensure the cleanliness of the facility for all, and naturists also took a pro-active approach to weeding out those involved or indulging in ‘dogging’, under the disguise of naturism, at Studland, and patrolling the dunes to ensure nothing that isn’t ‘family-values’ naturism was allowed to hold sway. 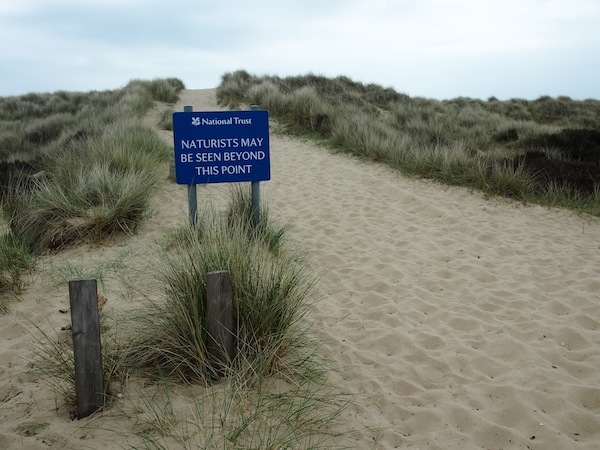 Wouldn’t it be nice if your town council, local beach trust or whoever marshals local beaches did the same? We don’t demand the world. We respectfully request a small area where we, or a naturist persuasion, may practice our chosen lifestyle without harassment or fear. ← Cart Sale at The Wash & the naturist season begins!